But when I received a Victoria's Secret catalog last week with a coupon for $15 off any purchase and I saw that there were new eye shadow quads on the website, I totally gave in. 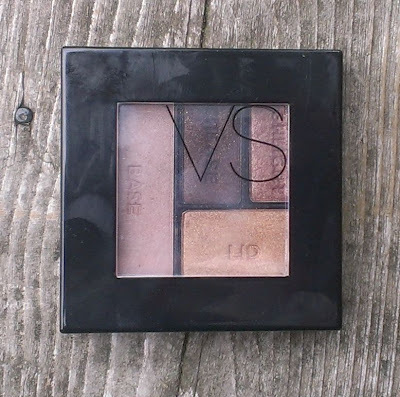 I have limited experience with VS makeup -- a couple of years back, I bought a holiday eye shadow palette from the website. It's nice enough -- the shadows are fairly pigmented and the shades are all nice, but I just don't find myself reaching for it all much. 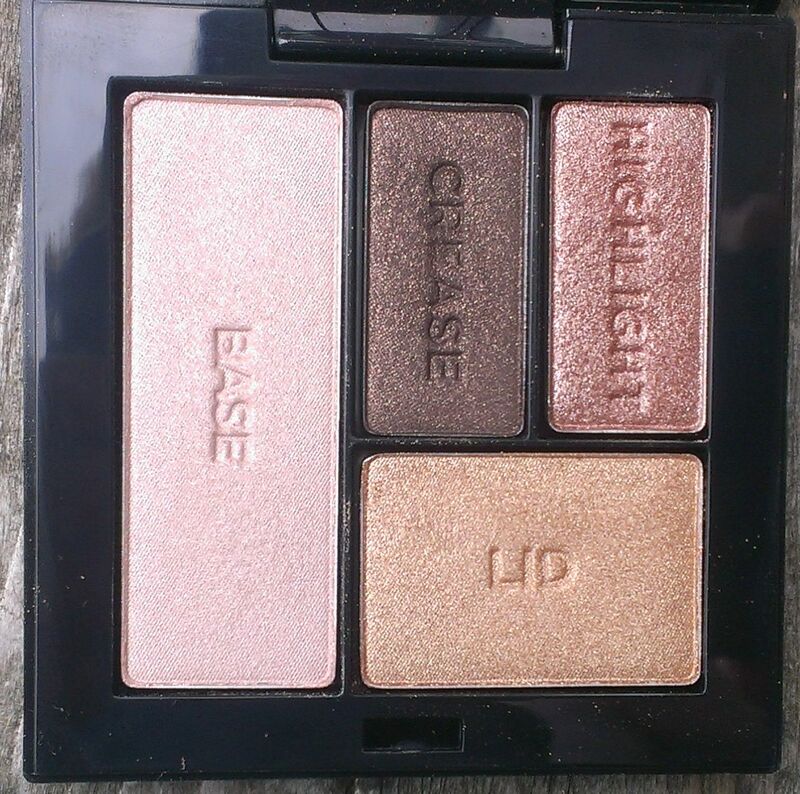 So I can't say my expectations were all that high for the new Eye Shadow Quad in Eye Contact. Sure, the colors are lovely -- they're what lured me in -- but I wasn't expecting the formula to be all that great. I am definitely pleasantly surprised. These quads come in black plastic compacts with a clear window in the top that shows off the colors inside. They contain 6.4 grams of product and feature instructions on the backside for a fairly basic eye look. 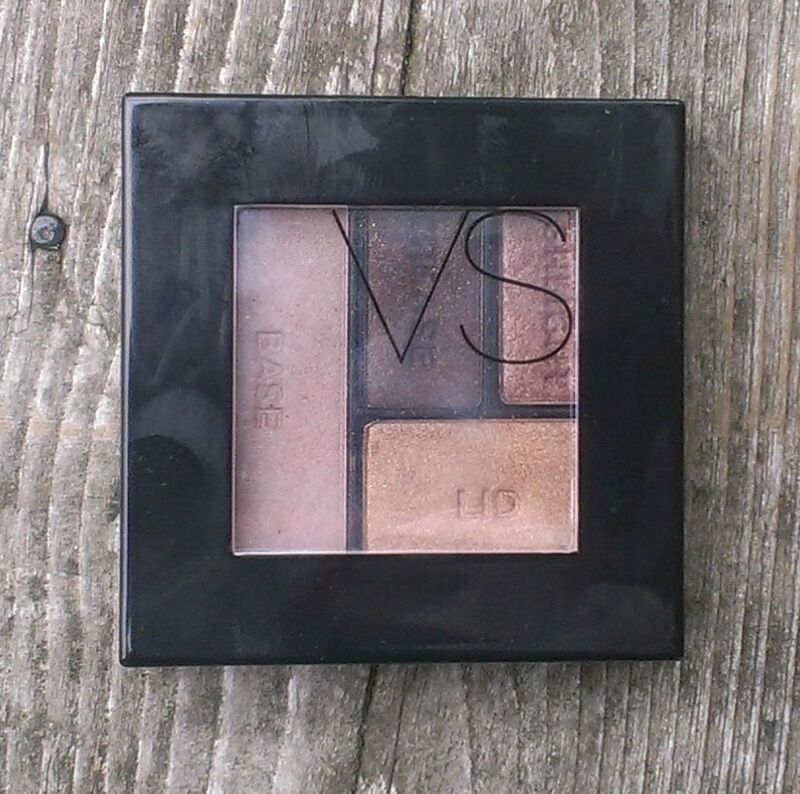 The shadows themselves are labeled to indicated how VS suggests you use them, so there's a Base, Lid, Crease, and Highlight shade. They all have a shimmery or satin-y finish, but there's no chunky glitter to be found here at all. The Eye Contact quad contains golden/bronze-y/brown shades that are perfect for summer, though really, they can transition well for any season. The Base shade is a pale pinky-champagne color and is the least pigmented of the four. 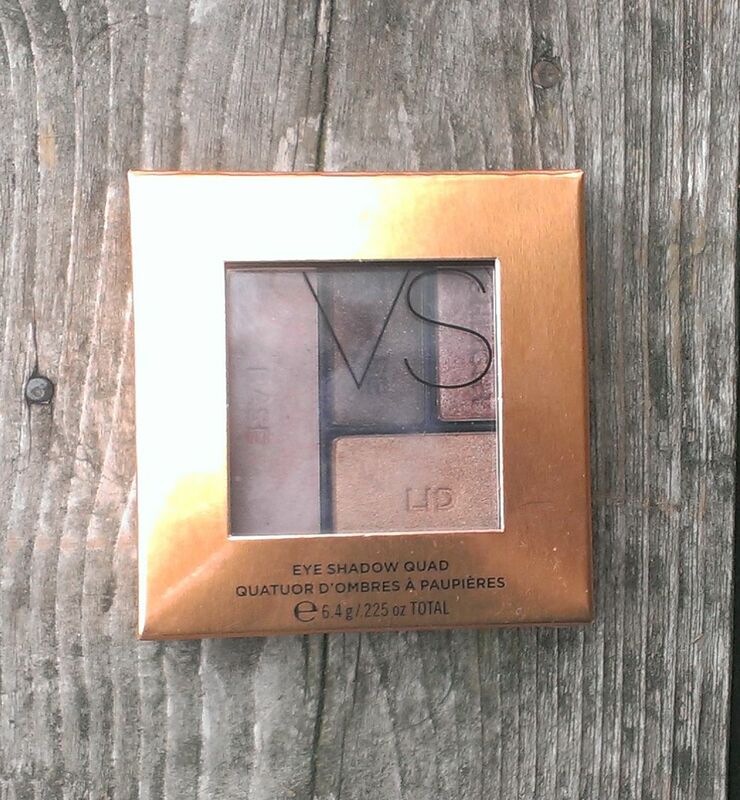 The Lid shade is light golden shade that does a really good job of brightening up the eyes. The Crease shade is a rich, dark chocolate brown with copper shimmer. It is impressively pigmented. The Highlight shade is a mid-tone copper shade. It's absolutely lovely, but it's way to dark for use as a highlight in my opinion. I actually use it in the crease instead and use the Crease shade for the outer corner and the Base shadow as my highlight. 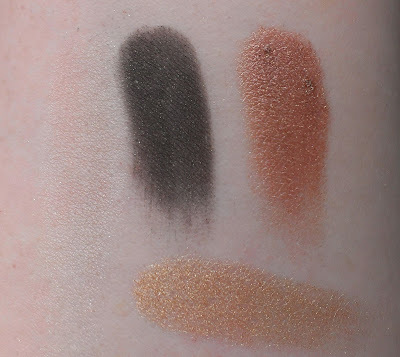 The quad is pretty versatile -- it's easy to come up with a soft, pretty look for day, but you can easily bump it up by using more of the Crease shade to create a super smoky look. If you have blue eyes, the shades are particularly flattering too. The quads retail for $20 at VS and the VS website, but they often offer coupons and discounts so you can get an even better deal. I would up paying $5 (plus shipping) for the quad, and boy was it worth it. There are three other color combinations, which range from soft and neutral to bolder and brighter. If you're at your local VS or picking up some things from the website, I definitely recommend checking these out. Have you tried the new VS eye shadow quads? What do you think?